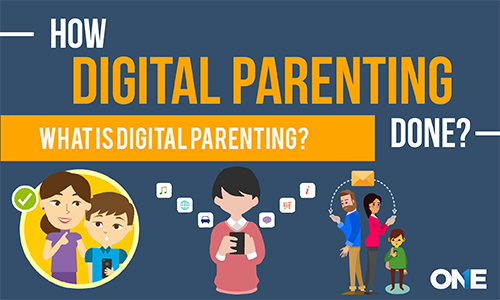 Digital Parenting has become necessary. Raising your child in the contemporary digital world where children are using cell phones and computers connected to the internet. Parents should promote and support the physical, emotional, social, digitally social and as well as the intellectual development of children from the time they own cell phone and computer devices. In-case your child is able to use the smartphones of Android, iOS and blackberries and computer machines of MAC and windows and they further have their own mobile phone devices, then being parents you may want to have a hidden way to track and control what they are doing on their gadgets and devices and you want to set parental control on it. 52% of young kids ages 6 to 12 use cell phones and laptop or desktop computers. However, there is an important question for parents: Do your children know that they should not provide their personal information to anyone online? Almost 45% of the young children’s parents don’t bother to set parental control on their phones and computer devices. 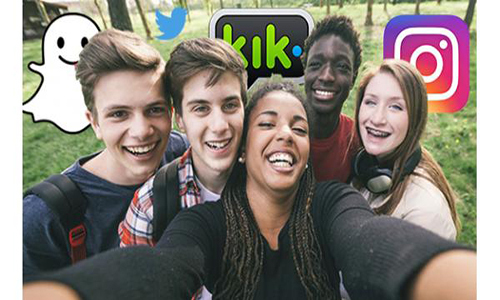 Young kids and teens can share private information with the online strangers via cell phone and computer device connected to the internet and social media apps and websites. 50% of the young victims of online predators are between the ages 10 to 15. How to Set Parental Controls on Cell Phone and Computers? Obviously, parents have to find out such a tool that does a lot of everything, and permit you to customize your control options, precise the content that your kids have access on and last but not the least keep an eye on activities being performed by your children on their smartphones and laptop or desktop computer devices. Furthermore, a tool that can help parents to track kid’s social media activities, phone calls incoming or outgoing and text messages activities of kids and teens on cell phones. However, parents should find out best parental control software that is ultimately for the monitoring of cell phones and computer devices. Digital parenting blunders that every parent should avoid in order protecting kids and teens from online dangers. They can use ultimate and reliable tool that empower parents to set parental control on smartphones and computer machines running with different OS. TOS is known for the best of the best parenting software over the years. The parenting app suits may take a little time before you are able to use all the powerful tools in order to stay updated about all the activities performed by kids and teens on their gadgets and computer desktop and laptop machines to the fullest. Undoubtedly, it is a digital parenting solution for “Technophober” parents as well. Moreover, all of the tools of greatest parenting solutions enable parents to set strong and accurate parental control on kid gadgets and devices. How to get ultimate monitoring app for parenting on cell phones and computer? All you need to do is to install TheOneSpy parental monitoring software on your target phone or computer device. Once you have installed it on the target cell phone of Android, iOS and blackberries and as well as on MAC and Windows device. The very next step you need to take is to activate it on the target cell phone and get access to the online control panel with the given credentials at the time of subscription. You can get access to the multiple solutions for cell phones and computer devices. Even you can use the parental control software for young digital patients. It is also known as Doctor TOS that is perfect for digital patients. Let’s describe all the tools of cell phone and computer parental control software tools in the following. There are following user-friendly, efficient and accurate features of TheOneSpy parenting software that can help out parents to set parental control on smartphones and computer devices. Parents can protect kids and teen from stalkers, cyber bullies and even from sexual predators and most importantly from the prevention of adolescents and teens pregnancy. They just need to use the IM’s social media of the parental control app for cell phones and computers. It enables a user to view IM’s logs as private chat conversations, audio and video conversations, shared media files, and Voice messages. Phone obsession is real –parents can monitor phone children phone calls with secret phone call recorder of parental control app that enable parents to know to whom kids and teens are talking about phone calls. Bullies these days are beyond the school gates, therefore parents can use spy 360 live surrounds listening to listen and record the Voices and conversations of the children when at school. Moreover, parents can also view the surround visuals to confirm whether bullies are targeting their children at school or not with spy 360 live cameras streaming. However, parents can protect kids and teen from online bullying by sharing the screen of kid’s cell phone screen to an online control panel of the cell phone and computer parental control app. Parents can track GPS location of the kids and teens cell phone with GPS location tracker. It empowers the user to view pin-point location of young kids in order to know what place they are present at the moment if getting late at eve. Parents can get to know if kids and teens have a habit of texting all day long if the parents have some reservation about teen’s texting activities. They can view text messages remotely with text messages spy of parental monitoring app. The parent can remotely capture screenshots of all the activities kids and teens do on their mobile phones. However, the user can also use on-demand screenshots of Windows parental control software and get to know kids and teens activities on target windows laptop devices. Parents can use MAC parenting app and can do the screen recording of the target MAC desktop computer and parents can get to know the activities of the kids such as watching inappropriate content. 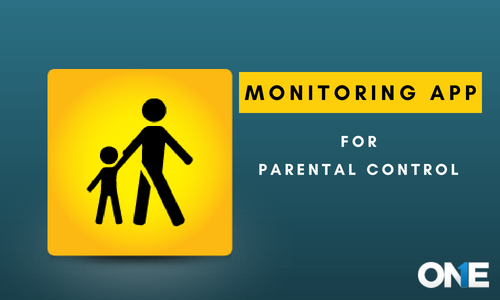 Windows monitoring software is the best option for parents to set a parental control to get real-time results of kids and teens activities on their windows computer machines. The parent can view if they are sharing their personal information off to the stranger online. Parents can make short and back to back videos of the screen kid’s cell phone to monitor the videos they share and view on YouTube, what password they made on their cell phone home screen and last but not the least that teen is texting, chatting and sharing news feed on social media. They can use live screen recording of the mobile parental control app and can do Facebook Live screen recording, WhatsApp live screen recording and Snapchat Live screen recording, password chaser, and YouTube screen recording. Parents can use camera bug of the MAC monitoring app in order to know what times kids and teens use their MAC laptop devices by hacking the front camera of MAC computer machine. Parents can block all the websites that are inappropriate for the children with windows and MAC parenting app. All you need to do is to put URLs into the filters and no one will be able to get access to the blocked websites on MAC and windows desktop and laptop devices. Parents can use remotely phone controller of the Android parental control software in order to view installed apps. Furthermore, parents can block incoming calls of the strangers and last but not the least text messages. Parents can use cell phone parenting software and a user can remotely view all the visited websites and apps on the target cell phone and as well the bookmarked websites with the help of the cell phone parental control app. TheOneSpy is purely and undoubtedly an ultimate, reliable, accurate and efficient monitoring app to set parental control on cell phones of Android, iOS and blackberries and as well on MAC and windows desktop and laptop devices. TheOneSpy is purely an ultimate, reliable, and efficient monitoring app to set parental control on cell phones of Android, Tablets, iOS as well on MAC and Windows desktop and laptop devices. 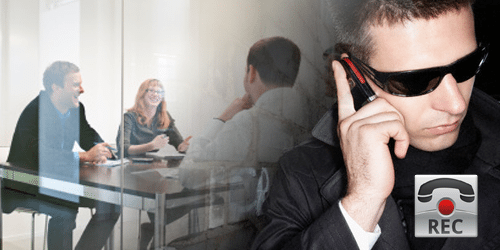 Why You Need to Monitor Their Calls?